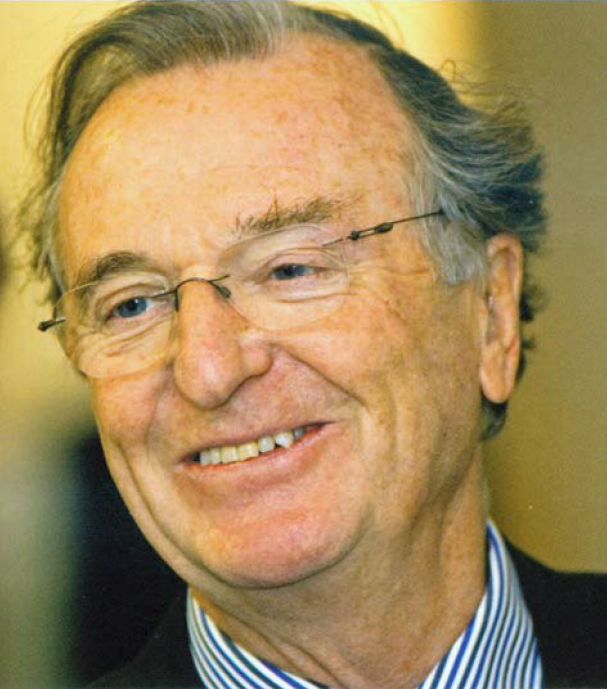 Gerald Manners, who died on 16 February 2009 after a battle with cancer, earned distinction in three areas of life: as an academic, an adviser to government, and as chairman of a number of major charitable bodies. Born in County Durham on 7 August 1932, his secondary education was at Wallington, Surrey. In 1951 he entered Saint Catharine’s College Cambridge, where his tutor group included Michael Chisholm, Peter Haggett and Peter Hall, each of whom proceeded to distinguished academic careers. Under the attentive watch of A.A.L. Caesar, Gerald honed his skills of oral and written presentation as well as expanding his knowledge, duly gaining a First in Geography. All his work would bear the hallmark of rigorous argument and clear expression acquired at Cambridge. After a year in the USA and two years in the RAF, Gerald joined the teaching staff of University College Swansea in 1957, remaining there for ten years. His time in South Wales gave rise to The Geography of Energy (1964), which was a fine demonstration of the new analytical economic geography beginning to emerge, and South Wales in the Sixties (1964), which explored job creation, transportation, housing and urgent challenges of environmental management. In 1967, Gerald moved to University College London as Reader in economic geography. He remained at UCL until retirement in 1997, becoming professor in 1980. His teaching focused on regional development in Great Britain and the USA, and the economic geography of resources. Generations of students and young academics will remember his miraculously clear and rigorously argued lectures, delivered without notes but with the benefit of meticulous research and preparation. At this time he wrote Regional Development in Britain (1972, with others), which rapidly became an essential text for undergraduates, and The Changing World Market for Iron Ore (1971) that he started to research in 1964 during a year at Resources for the Future, Inc. in Washington D.C. This cogently argued monograph revealed his excellent grasp of the workings of global commodity markets, blending his dual knowledge of economic principles and geographical applications. It proved an inspiration for many aspiring economic geographers. After investigating iron ore, Gerald turned to the coal industry (Coal in Britain: an uncertain future, 1981), gas, oil, nuclear energy and mineral reserves. His expertise on these topics made him a sought after adviser and consultant. Developing this second strand of his career, he served on the South East Economic Planning Council in the 1970s and was a member of the Location of Offices Bureau (Office Policy in Britain, 1986). He was a council member of the Town and Country Planning Association, and chaired the Regional Studies Association in the 1980s. Gerald was a specialist advisor on several reports of the House of Commons Energy Committee (1980-92), the House of Lords Select Committee on Sustainable Development, and the House of Commons Environmental Audit Committee. Beyond Parliament his experience was also sought professionally by the Association for the Conservation of Energy and the Electricity Association. He gave expert advice to the Vale of Belvoir Coalfield Enquiry. His knowledge, rigour and clarity were greatly appreciated. Before and during retirement, a third career strand emerged in the 1980s as a charitable trustee, where Gerald developed his remarkable skill for reconciling divergent viewpoints and steering discussion to sensible conclusions. He became widely known beyond the academic, planning and government spheres for his ever-courteous, gentlemanly yet masterly chairmanship of a suite of important institutions in the worlds of the arts and of benefaction; including the Sadler’s Wells Foundation and Trust, the City Parochial Foundation and Trust for London, the EAGA (Energy Action Grants Agency) Charitable Trust, the Trust for London’s Central Governing Body, and the Association for Charitable Foundations. For eight years, he was an advisor to the investment committee of St. Paul’s Cathedral. In 2005, he was appointed OBE in recognition of his sustained services to charity. Gerald’s work is greatly admired among academic geographers but, of course, this perceptive, kind and generous man with a great deal of charisma will be remembered with gratitude by many others in different circles of life. Twice married, Gerald is survived by his second wife and son, by his ex-wife and three children, and by seven grandchildren.